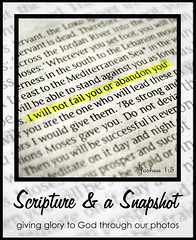 Joining in Week 14 of Katie's Scripture & A Snapshot. That is BEAUTIFUL! Great job Marshy! I love you! Amen!! Forever and ever the same! And this is such a gorgeous shot to go with that verse!! Oh how I love cloud pictures! I thought about removing the spaces but my Bible shows it as to-day and for ever. And I cringe at changing anything from the Bible! I'm always amazed at God's timing! 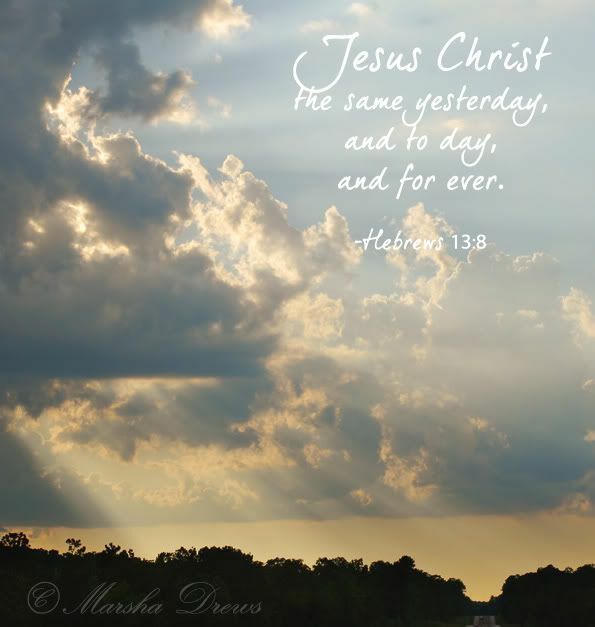 I was just reading Hebrews 13 just today! Love the visual picture with the verse. What a very very nice job.